Renault Sport UK today confirmed the New Formula Renault 2.0 race car is to make its competitive debut at the start of the 2010 Michelin Formula Renault UK Championship. The new car replaces the current Tatuus-built chassis – which has become the world's best-selling single-seater with close to 1,000 sales worldwide – first introduced in the UK in 2000. Featuring a new chassis, seven-speed sequential gearbox, and a 2.0-litre, 16v normally-aspirated F4R832 engine derived from Clio Renault Sport phase II, the new car is about to go into production at the Renaultsport factory in Dieppe, France. The wraps first came off the new car earlier this year during its debut track outing at the Magny-Cours circuit in France . 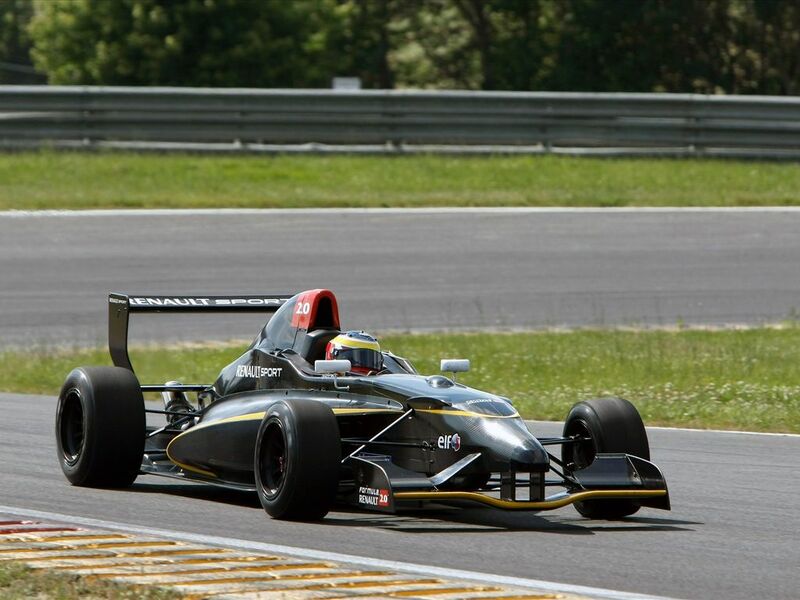 Former Eurocup Formula Renault 2.0 winner Filipe Albuquerque was one of the drivers selected to contribute to the extensive testing program over the summer months along with Alvaro Parente and Andy Soucek. During which the Renault Sport Technologies team covered more than 6,000km and visited a range of circuits – including Nogaro, Dijon, Pau Arnos in France, Italy's Monza and Motorland in Southern Spain – to validate the cars design and system operation. As well as electronically-controlled, steering wheel-mounted gearshift paddles, the new car also features the latest generation engine ECU fitted with comprehensive data acquisition and a colour instrument panel integral with the steering wheel. Commenting on the announcement, Michelin Formula Renault UK Championship Promoter Simon North said: “Given the current economic climate, the decision to introduce the new car was discussed carefully with our existing teams but we are all confident it is an important step forward in the future success of the series.